People never get what exactly it is about Royal Enfield that makes us so passionate about them. Me, Am proud to be a part of the Enfield community, at a younger age compared to the big daddies of the group. I own a 2005 TB, I call it the FLYING SPUR. I started to ride on my Dad’s Yezdi Classic(250CC) at the age of 14, and hence started my affair with solid IRONS and haven’t got my eyes for any conventional PLASTICS!!!!!!!!!!. The first time I set my eyes on a Bullet was in my childhood, and that’s when my affair with the bullet started and got only stronger as the years went by. I bought the Flying Spur in 2008. Since the day I got my bull I wanted to go on a road trip which is only an extended carnal fantasy of any bulleteer. Luckily I had a friend who I knew was into riding, I called up him and told him that I want to go on a road trip. He in turn offered me to join his group and join in for a ride. That made me think what it is with motorcycle clubs that people join in for. I googled and came across many motorcycle clubs, but one such club caught my attention was InddieThumpers. Went online to check the site and registered. I missed the RM08 ride to Hyderabad. I regretted for not going so. 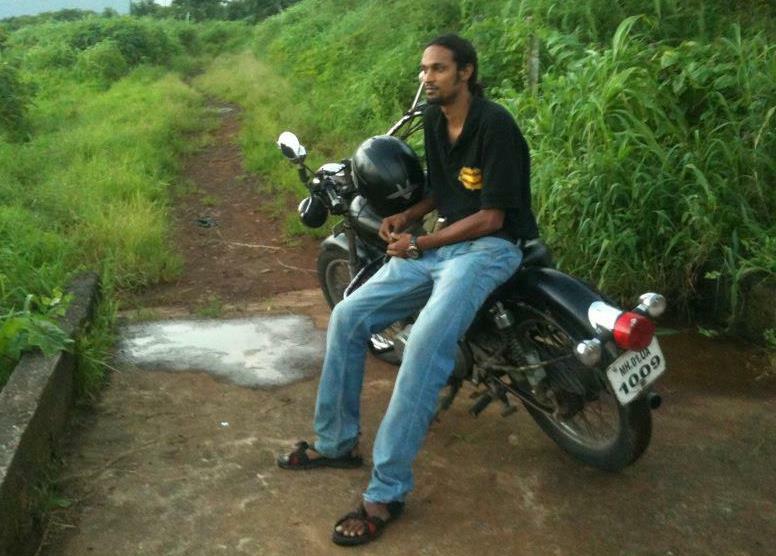 My first ride with the club was Ganpathiphule in the month of Feb ’08. The morning meet at Datta Vadapav made me think “am I really gonna join this bunch of freaking Riders”. There was Andy and Rohan who came up to me and checked my bike, though I had serviced a day before the ride and my inner voice said to me for like any other newbie who joins the group and thinks he is all and know it all and no one knows the bull better than self”. In reflection it makes me think how thorough this group is. As these inspections not only added discipline to a rider, by way of not just servicing your motorcycle but also carrying spares thus minimizing breakdowns which is great as you get to ride uninterrupted and without an incident. After the ride was over, I couldn’t get over the ride out of my head. I had a lot of learning riding with the club. It made me understand the relation between me and my bike. The riding bug had caught me badly to an extent that I didn’t want to miss out a single ride. I went on to do more rides during the year for which I adjudged the Rider of The year – 2008 for being part of all the road trips done in that year. Have done good rides to places like Ajanta & Elora(twice), Tarkarli, Hedvi, Bhandhardhara, Bailgaum, Goa, Ooty, Kumbharli, Velneshwar, Vansda, most of the beaches along the coast of Maharashtra and Karnataka and a lot of Chai rides(80-100Km)…. the list goes on. Have been used to riding for more than 500-600 Km a day. Besides some of these rides, I have been privileged to ride for the Mumbai Marathon for 2009 and 2010, as a media crew for live telecast of the event. Was also associated with the BSA India International Cyclothon event held in 2010 in Mumbai, wherein I was the only Indian rider along with the other international professional rider hired for the event. The Marathon and the Cyclothon events were specifically for the coverage of the event on a rigged motorcycle, mounted with camera equipment for Live coverage. One most important aspect of Group Riding I learnt from the club is, I have got my hands good in terms to understand the basics that are necessary for road discipline in a group ride.